My last full week of July this year has been dominated by thoughts of a much-awaited package, bound to arrive at my door at anytime. And with apologies to the songwriters and performers of the title song – including The Marvelettes, The Beatles and The Carpenters – I realize I should amend my statement to reflect 2013 standards, something along the lines of "Please, Federal Express Person" instead. Actually, I can recall this feeling of anticipation because I’ve had it many times in the past when I’ve ordered and then finally received a nice new gadget I’d had my eye on for quite some time. But this one is different too. And in fact, in describing what it is, it might be easier to express it in terms of what it's not. While my feelings of eagerness for it to arrive compares to emotions I’ve had for new iPhones, iPads, Kindles, Nexuses (Nexii?) and Chromebooks as I awaited their arrivals, this gadget I’m currently waiting on is really nothing like any of those. Rather than a mobile information/communication device, this item is a printer! My first order, which would’ve been from the vendor’s first “batch,” was placed and accepted in 2012, but I canceled it – albeit reluctantly – because I was suffering a bad case of “gadget fatigue” (as in “it gets too exhausting figuring out all these different gadgets at once”; see that list above of all those products that have come my way in the last few years). But I made sure to clear my calendar this year and got my order in for the second build, waiting since April 2013 for it to arrive, all the while being teased by the company’s clever communications. And yes, I have ordered and received many a printer over the years, but they've mostly been work-oriented replacement products that may have represented an economic and/or performance upgrade but really offered very little, if anything, which one might consider new and exciting. And back to the “what it’s not” analysis (a very key point of marketing positioning and differentiation, as I often point out to my students), the product coming my way, although technically a printer, is also very big in the “not” department. It doesn't print in color. It does not include an integrated scanner or other attributes that would qualify it as an MFP. 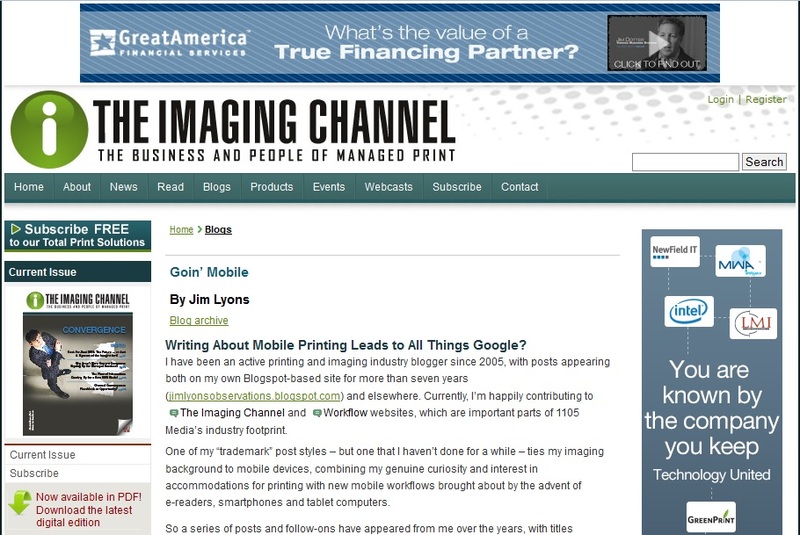 It is neither laser nor page-wide (i.e., inkjet) technology. It features no Wi-Fi connection, nor does it do autoduplexing. And beyond all that, it's so “underperforming” that it doesn't even print on plain, letter-size paper. It does originate from outside the United States (leading to some of the extended shipping time), but it’s not coming from Asia. It’s being shipped direct from the manufacturer in England, and it’s a product that's not ordered out of off-the-shelf stock, but rather preordered from infrequent batch production runs. Some readers of this blog might have figured out by now that I'm talking about the Berg Little Printer. After some final shipping gyrations involving United States Customs requirements, of all things, it arrived at my door today. 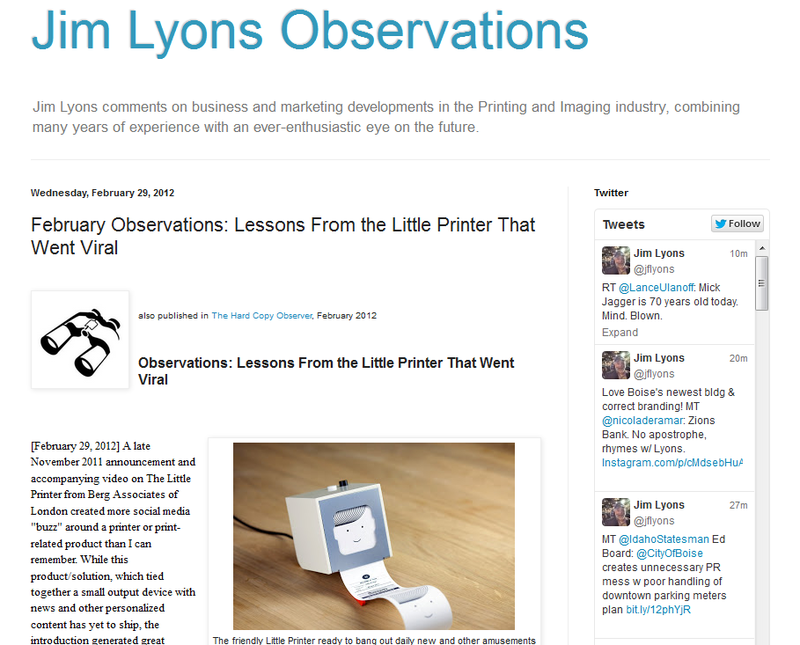 I've been covering, here and elsewhere (see http://jimlyonsobservations.blogspot.com/2012/02/february-observations-lessons-from.html), my impressions of the Little Printer’s appeal and its ability to create momentum in the social media world. But thinking about the long-time mantra in the printer industry to “create and sell solutions, not hardware,” that has been much easier said than done. 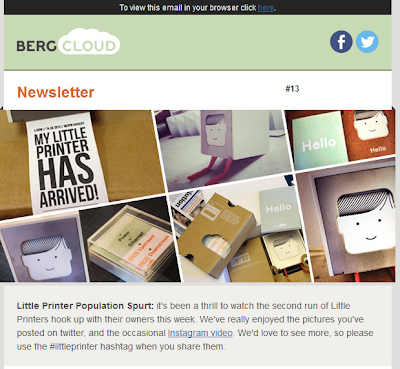 The Berg Little Printer, despite its name indicating a hardware bias, is actually that rare hard-copy solution – a part-hardware, part-software combination – that appeals based on what it does and the image it conveys. The payoff? A great branded solution can command very high margin and still generate customer excitement and loyalty. The $249 (including $30 for overseas shipping) that I paid for my Little Printer is just as much or more than many of those gadgets I listed previously, and for a black-and-white printer that prints on special 2-inch-wide paper – basically a receipt printer, if one does not look beyond the hardware. But what we really have here is the embodiment of the famous marketing saying, “Where there's mystery, there's margin.” At Photizo’s Transform conference in May 2012, the keynote guest speaker was a recent VP of communications from Harley-Davidson. He offered so many of us in the room insights into magic, mystery, margin and the real lesson in that saying. Comparing how his former firm could produce such sought-after motorcycles that commanded double (or more) the price of equivalent hardware from other vendors, it became clear the differentiation was all about service, solutions, customer loyalty and stories. So how does it work, you might ask? How do I like it, and can I recommend it to others? Well, I'm just getting ready to open the box, set it up, plug it in and have at it. But after a few days – or, more likely, weeks or even months – I will report my findings, so stay tuned for future Jim Lyons Observations on using the Little Printer! 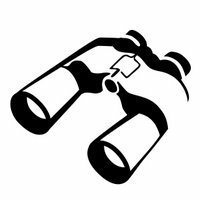 Over at my Goin' Mobile blog, I've written about my role as a Google Glass Explorer (aka beta user), and checking out whether the phrase "Google Glass Printing" means what we think it means! 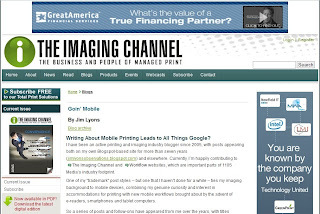 See "Writing About Mobile Printing Leads to All Things Google." The screenshot above gives a sneak preview...but please visit, read, even comment, on the real thing, and stay tuned for further Google Glass explorations.